Interior Secretary Ryan Zinke delivered a warning to GOP Sen. Lisa Murkowski, of Alaska, about her vote on the health care bill, CBS News Nancy Cordes confirmed in an interview Thursday morning. "I did have a conversation with the secretary, and he told me what I already knew, which was that the president wasn't pleased with the vote that I had taken, and I knew that," Murkowski told Cordes. The Alaska Dispatch News first reported the conversation and said that Zinke had also called her fellow Alaska Sen. Dan Sullivan, who is also a Republican. After President Trump blasted Sen. Lisa Murkowski, R-Alaska, for opposing a motion to proceed to open the health care debate, According to the Alaska Dispatch, Zinke said that Murkowski's "no" vote on Tuesday put Alaska's relationship with the Trump administration in jeopardy. 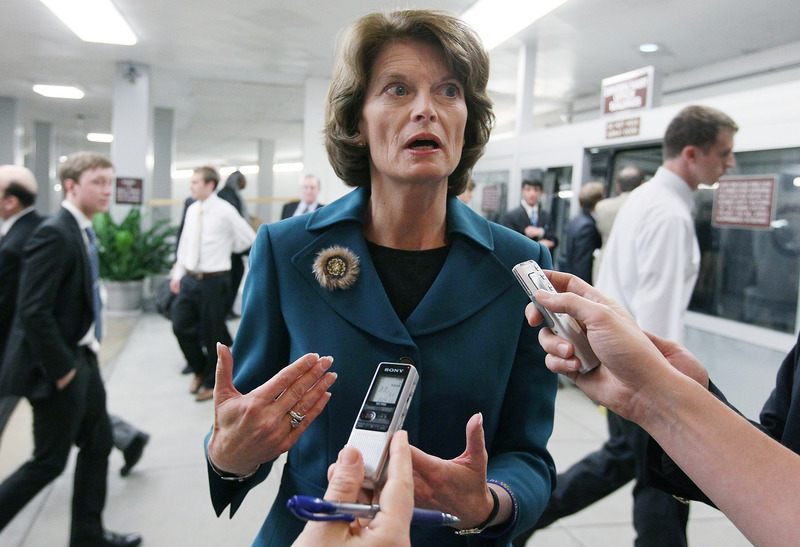 Murkowski told Cordes, "The reality is that it was a difficult conversation," but she didn't think that the idea of a threat was an "appropriate" characterization. Some issues and pending legislation items that both senators care about could now be at risk, the Alaska Dispatch said, such as nominations of Alaskans to positions in the administration, drilling projects in Alaska and an effort to build a road through a wildlife refuge. "I'm not going to go into the details, but I fear that the strong economic growth, pro-energy, pro-mining, pro-jobs and personnel from Alaska who are part of those policies are going to stop," Sullivan told the newspaper about the threat from Zinke, who delivered what the senator called a "troubling message." "I tried to push back on behalf of all Alaskans. … We're facing some difficult times and there's a lot of enthusiasm for the policies that Secretary Zinke and the president have been talking about with regard to our economy. But the message was pretty clear," Sullivan added, according to the report. If Zinke were to to stop Alaskan drilling projects, it would contradict the boost he attempted to give the oil and natural gas industry a couple of months ago. In May, he declared, "The only path for energy dominance is a path through the great state of Alaska." And he signed an order encouraging more production in the National Petroleum Reserve-Alaska and calling for an update of current assessments of oil and natural gas resources in Alaska's North Slope. Murkowski and Sen. Susan Collins, R-Maine, were the only two Senate Republicans who opposed a motion to proceed to open debate on the House-passed heath care bill on Tuesday. Sullivan voted in favor of the motion.